Neat Tricks from all over the web to improve your outdoor experience. Not all of these are appropriate for SAR, but you go out and camp other times, right? Use an empty laundry detergent dispenser as a hand-washing station greatwildoutdoors.com Just fill it up with water.From "41 Camping Hacks That Are Borderline Genius"
We are going to take a long run time flashlight (65 hours) and turn it into a longer run time flashlight (360 hours). I just picked up another one at my local Lowes. 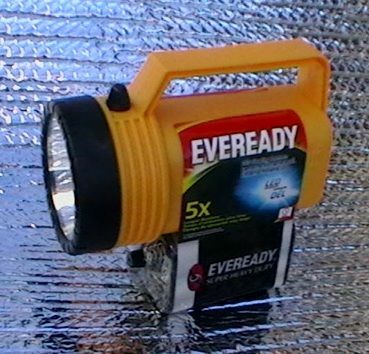 I like this flashlight because as is it has a long run time before the battery needs to be replaced (65 hours). It is bright. It is cheap and it is easy to hack. You can do this modification in 10 or 15 minutes and most of that time will be waiting for your soldering iron to heat up. The only thing about this flashlight that is less than optimum is that the 3 LEDS have a little too much current going through them. The LEDS appear to be “straw hat” type (20 milliamp) LEDS. Each LED has about 60 milliamps running through it. 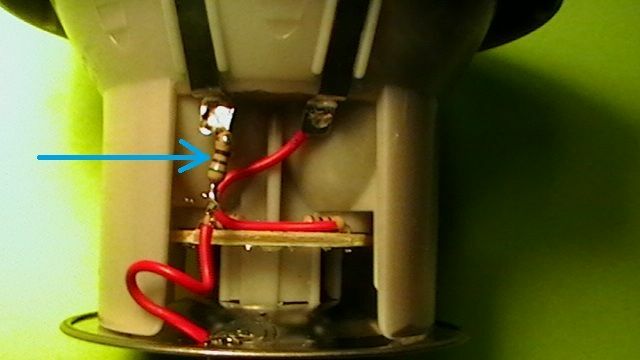 The LEDS in this flashlight may be specially made to handle more current but in case they are not, this modification will bring the current down to a level that will insure tens of thousands of hours of LED life. I chose to add a 56 ohm resistor to the circuit so each LED runs at about 16.5 milliamps. This will increase the run time by 5.5 x. Keep it on the tick for at least 20 seconds. The tick will cease biting, back out, and will remain stuck to the cotton ball when it’s pulled away. If the tick has been embedded for awhile, keep it in a jar so you can test it for Lyme disease. If you’re trying to save space because you’re backpacking, take the tube out and flatten the toilet paper. Keep it in a plastic bag instead. Not only are you less likely to bump into them in the dark, but they’ll be padded!